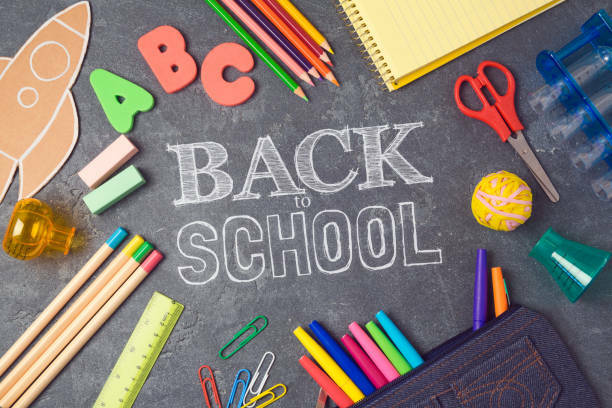 Here are some tips for easing into the new school year, including a supply list for our youngest Paul Cuffee students. Encourage your child to complete summer reading and homework by doing a little every day. This will prevent stress and add pride when it’s ready to be handed in on the first day of school. Keep reading to your child if they’re not yet reading themselves, and even if they are – you can take turns reading aloud and talking about good books together. Purchase your child’s uniform keeping in mind that cooler weather will be upon us soon. Pants, sweaters, fleece jackets and polo shirts should be available at Walmart, Old Navy, Target or Donnelly’s. Also – since students grow a lot over the summer and opened toed shoes (sandals) are not allowed, purchasing comfortable new shoes or sneakers is a great way to begin the school year. School supplies and backpacks are available in stores now – with many affordable options for the basics they need. Check the supply list below, and visit the store of your choice or order your school supplies online. There are many affordable options including Dollar Tree, Walmart, Target and Ocean State Job Lot. Please remember to use or set-up an AmazonSmile account to benefit Paul Cuffee School if you’re ordering items online. Donating nutritious snacks for the 20 children in your son or daughter’s class is a terrific contribution to the school. Healthy options are greatly appreciated and include: crackers, popcorn, string cheese, vegetables, fruit and yogurt. Shutting off TV and electronics at least one hour before sleep will help your child to get the rest they need. Getting enough sleep, completing summer homework and reading together will help your child start the year ready to learn. Any questions or concerns? Please be in touch with your child’s teacher or advisor.